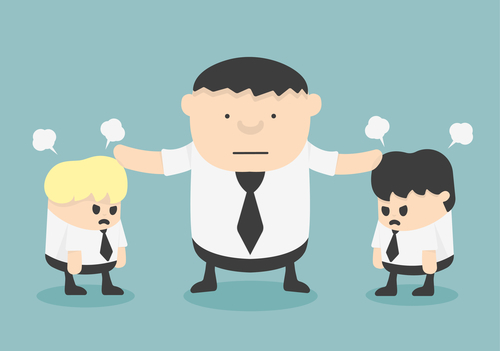 How Do You Fix Your Bad Workplace Culture? You know the saying, “It starts at the top.” Well, guess who’s at the top? You, the CEO, are at the top. Firing people will not solve the problem because right now you are the problem. And nothing will change until you change. I know that sounds harsh because it is harsh. But you have to make changes. Changing out the people will do nothing unless you make some fundamental changes. You need to close the hole in the leadership that exists. Part of the reason you have a culture of gossip and hatred is that you aren’t present. Yes, there are some bad apples that have to go (we’ll get back to that later), but you have to change your ways. If I was a betting person, I’d bet that you’ve heard the inappropriate behavior of your team. And, I’d bet that you stood idly by and did nothing. That’s why this problem requires you to change. Every time. Every single time you hear some saying something inappropriate, you need to step in. You need to tell your team that behavior will no longer be tolerated. And, you need to terminate people, regardless of who they are, if you see the behavior continue. Your new style will be tested. You’ve changed your ways, and you’re getting involved, and you’re speaking up. That’s what you’re supposed to do as a CEO. But this behavior has gone on for a long time. You will be tested, and that’s when your team will know whether you are serious or not. You have to take action. The bad apples will reveal themselves pretty easily. You will likely have to let these people go. Just remember to handle yourself with class and grace when you do fire these people. It will take time for your culture to change. The key for you is consistency. If you are consistently creating a collaborative culture, and taking appropriate action against bad behavior, then you can create the the culture you want. But it will take time. And that’s the tough part because one slip up by you will send everything back to where it was before.